It has come time to wrap-up my blog, as instructed by the instructor of this ‘Reading and Writing’ course, for this week. So this will be my last blog post, unless maybe I take it up again from sheer boredom or just for fun. Although I wasn’t expecting “blogging” to be fun, like at all, towards the end of this course (when we got to blog about whatever we wanted as individual bloggers), it became more and more tolerable and interesting for me to do. When we had to contract for our grade and for our blogs, we had to basically write down and show the instructor what we were planning on “blogging” about, and what letter grade we wanted to come out of it for each week. I personally, contracted for an “A” grade, which entailed posting four blog posts (500+ words each and at least one source cited) a week. And I chose to blog mainly about cars and car culture, but also health related topics, and my opinion and experiences for random topics that I thought about expressing. I personally think that for the most part I have done “A” grade work, though some weeks I was doing “B” grade work. I might be “hyping myself up” though as what is required might not be “A” work for other people viewing my blog. I mainly stuck to the rubric and the requirements for each week because not only do I have other college classes, I do have a life outside of school, so I did what needed to be done for each week and that was that. Some weeks I posted about random topic and personal experiences because that’s what I wanted to blog about, and also because I couldn’t think of anything else to blog about. This is why you see different posts that aren’t even related to each other in any way. Overall I think that at first “blogging” was harder to do because it was my first time doing this activity. I also think that it was hard because we were blogging about assigned articles and topics and not topics of our choice, so we were just blogging to complete the assigned task that week. As time went on, it got easier (although very slowly), because the instructor “set us free,” in a way; she let us blog about what we wanted to blog about instead of about what was assigned. To be honest, I don’t see myself continuing to blog on my own, like I said, only if I get a “wild hair” to continue to blog. I did find it interesting of what other people were blogging about and reading some of their posts. My classmates blogs contained anything from fashion, to fiction, to gaming, to hunting. Although I didn’t get a chance to read everyone else’s blogs, the one’s I did read I found interesting and informational. “Blogging” can be a platform to express many different thoughts and topics and to have an audience that shares similar ideas and opinions. Why Watermelon is the “GOAT” of fruit. I know what you might be thinking, “so this guy goes from talking about cars to talking about watermelon?” “Why?” Well I will tell you why. Have you ever tried a nice, juicy, clean cut, watermelon on a sunny, hot, day? If you have, you know how good it tastes. If you haven’t, WHY NOT? You are missing out my friend, if you have not tried a good watermelon. Nothing beats a good watermelon in the summertime, not even ice cream. It is a almost a crime to compare it’s taste to any other fruit (although green grapes for me come in second place). I love watermelon, this is why I “shifted gears” so unexpectedly. There are a few “unexpected problems” that do happen sometimes when you buy a watermelon at any store and when you eat it. The first comes when you think you bought a good one (I usually “knock” on it to make sure it sounds hollow, I don’t know why my family does it, but it works most of the time), it has a nice green color with a sort of white/light lime color at the bottom (where it sat in the garden), it is a good size, and isn’t mushy. Then when you finally cut it open (I usually cut it down the middle horizontally, then cut up each half into squares), it has a nasty white color to it, there aren’t many seeds in it, and it has a mushy texture. It is an unfortunate risk you have to take when buying a watermelon. But when you do get that good one, it is worth the money. The second problem comes when you cut it up and start eating it and eating some more until you get “full.” For me, it bloats my stomach when I have a decent amount of it; it is called “WATERmelon,” so most of it contains water (92% of it to be exact), and then all of that water adds up, causing you to have to take a “leak” a lot. Can rehydrate you and keep you hydrated, almost all of the watermelon contains water. With this high water-content comes the feeling of fullness, which is good because you get to feel full without racking up the calories. It contains key nutrients such as: Vitamin C (21% of daily intake in one cup), Vitamin A (18% of daily intake in one cup), Potassium (5% of daily intake in one cup), Magnesium (4% of daily intake in one cup), and Vitamins B1, B5, and B6 (3% of daily intake in one cup). Some of the compounds in watermelon might be able to prevent cancer (cucurbitacin E and lycopene). It’s good for your skin and hair; some nutrients keep your hair supple, while others protect you from sunburn. The juice that comes from watermelon have the potential to be a good recovery drink after exercise. Overall I give this fruit a 9/10 for taste, a nine because some watermelon don’t taste good at all. Solidifying it’s place as the “GOAT” (greatest of all time) of all fruit. My Dream Car (at the moment). I would say a good portion of the population has a car that they really want or one that they would consider to be their “dream car.” You don’t necessarily have to be a “car-guy” (or girl), to have an idea of your “dream car.” What I have seen is that most people’s dream car is a stupidly-expensive sports-car that they could never afford (hence it being called a “dream car”), for example a Lamborghini, a Ferrari, a Bugatti, a McLaren, etc. I on the other hand, would go for something a little cheaper, with about the same speed and quickness, a “tuner-car” or a “modded-car,” something that you can upgrade, unlike the name-brand cars that I mentioned above. 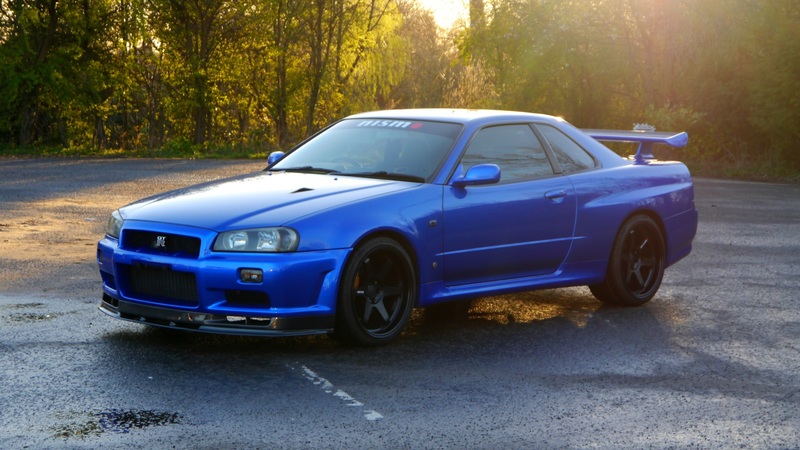 My “dream car” is a 1999 Nissan Skyline GTR (r34). The look of this car to me is straight-up cool, it is a sleek sports car mixed with a late 90’s look and feel to it. It also has a very simple look to it, there isn’t anything crazy going on with it in terms of cosmetics (there isn’t a obnoxiously huge wing on the back, it isn’t slammed to the ground, it doesn’t have wide and big ground effects, and it doesn’t have the biggest motor in the world). I would consider it a minimalists’, 90’s, JDM (Japanese Domestic Market) fan’s dream. The motor is considered to be one of the best in the world when it comes to horsepower to weight ratio, reliability, and power efficiency. 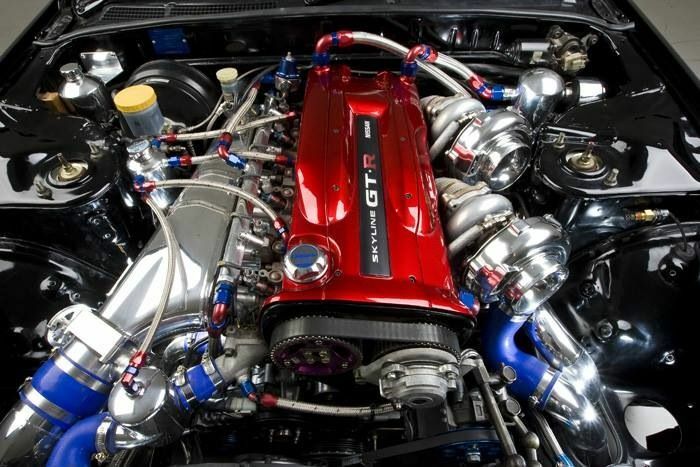 This motor is the legendary RB-26, which is a twin-turbo, straight-six (so basically a V6 with a lot of power). It’s so good, in fact, that many car-guys will swap this engine with a stock engine of another car (the most common RB motor swap being the Datsun’s Z series cars). This motor makes around 550-600 horsepower, depending on the modifications put on the base motor. So it can keep up with most of the supercars on the road even today. 3. It’s symmetrical all-wheel-drive system. This means that all four wheels are spinning at the same time, all of the time, like the famous Subaru all-wheel-drive system. This gives the car twice the traction because all four wheels are spinning at the same time. More traction means a better launch when accelerated from a stop, and a better launch means that you would get the jump on basically any other car that has either front-wheel-drive or rear-wheel-drive. This awd system also means that you would have a better chance of staying on the road when the weather gets slippery (rain or snow). 4. This GTR also has a manual transmission or a “stick-shift” as people call it. This means that you physically have to shift into the next gear as you accelerate or decelerate by pushing the clutch down and pushing the shifter into the next gear (rather than an automatic in which you just have to brake and accelerate and the vehicle will shift for you). This is purely a fun factor for me because I personally find manual cars way more fun to drive because it feels like you are driving a racecar. You can also find this car with an automatic transmission, but that wouldn’t be very fun (to me anyway). 5. There is a major following as it gained most of it’s popularity from the ‘Fast and Furious’ movie franchise, as it was the car that one of the main characters (Paul Walker’s character, Brian O’Connor) drove in multiple of the movies. These movies actually introduced me to this car and caught my interest when I first saw it in the second movie and even more in the fourth movie. This car is now considered one of the most sawt after JDM cars ever, given the nickname “Godzilla” from the car-world. “Nissan RB26DETT Engine.” WikiMotors, 17 Aug. 2016, mywikimotors.com/rb26dett/. “Nissan Skyline.” Wikipedia, Wikimedia Foundation, 8 Dec. 2018, en.wikipedia.org/wiki/Nissan_Skyline. Almost everyone with a drivers license has a car, this is obvious, but it may not be the best car for them/their needs. They may just be looking to get a car for cheap, that will inevitably be problematic in the future because there is something that is wrong with it (hence it’s low selling price), especially if they have just received their drivers license (16-19 year old’s). Or they may think that the most expensive cars are the best overall cars, although that some of the most expensive cars do have a better safety features, a faster 0-60mph time, a faster top speed, and better handling, there are many other cars that are way more affordable, with about the same features. Or they may just want a car that has a specific feature such as: good gas mileage, good in snowy conditions, has excellent handling, is “fast,” or has good comfortability. The car that you currently own might not be the “best” car for you and your needs. If you are looking for comfortability in a four-door car (a sedan), that is moderately affordable, you should look at some of these options: Chevy Impala, Ford Fusion, Audi A6, and a Buick Lacrosse. Although these cars are similar, each one has differences because each car company comes out with similar and different features (such as heated seats, Bluetooth connectivity, navigation, and audio systems). These cars range from $30,000 to $60,000 at base price. If you are looking for good gas mileage (let’s say 25-40+mpg), with moderate affordability, you should look at some of these options: Honda Accord-Hybrid (at 47mpg), Ford Fusion-Hybrid (at 42mpg), Volkswagen Passat TDI (at 35mpg), and a Toyota Prius (52mpg). These cars range from $27,000 to $31,000 at base price (other versions of these cars are available, along with shipping costs and taxes). If you are just looking for a car that will get from Point A to Point B, without being expensive, has good dependability, a good safety rating, and gets decent gas mileage (in other words, “the best bang for your buck”), some of these I would recommend: Toyota Camry, Chevy Impala, Honda Accord, Audi A4, and a Kia Soul. These cars I would recommend for new drivers and college students (because both are poor, for the most part). I would recommend the years from 2008 to 2014 for the fact that they are cheaper used (obviously). And finally if you are looking for a “fun” car that you can mess around in I would recommend: Subaru Impreza WRX (or STI), Mitsubishi Evo, Ford Focus RS, Subaru BRZ, Ford Mustang, or a Chevy Camaro. The WRX, Evo, RS, and BRZ are four-cylinder mid-size sedans (except the BRZ, which is a 2-door coupe) and the Mustang and Camaro’s are either 6 or 8-cylinders (V-6 or V-8). “Top 15 Most Comfortable Cars.” Motor Trend, Motor Trend, 30 Dec. 2014, http://www.motortrend.com/news/top-15-most-comfortable-cars/. “10 Of the Fastest Sedans.” Autobytel.com, http://www.autobytel.com/sedans/car-buying-guides/10-of-the-fastest-sedans-125836/. Even though my life is about as eventful as a tree in a forest, I still do have a daily routine like everyone else. That being said my daily routine is subject to change as I do have a family (as in parents and a sibling, not a kid or wife of my own obviously), college, work, friends (though not many) and get togethers here and there with my extended family. 6:00 am- I wake up (usually close to this time, earlier or later depending on the day) and have breakfast. For breakfast my “meal” is usually just cereal and a protein bar (yes I am usually that hungry when I wake up). 7:40 am- I take my sister to school, as she is a sophomore in high school right now. 7:45 am to about 8:20 am (on Mondays and Wednesdays only)- I drive to college, which is about a half hour drive to Rochester (I’m currently attending RCTC). At this time on Tuesdays and Thursdays I am usually either working out at the gym or doing homework. 9:00 am (on Mondays and Wednesdays)- Start class (Intro to Sociology), I am usually in the classroom earlier though. At this time on Tuesdays and Thursdays, I am usually either doing homework or watching TV/YouTube. 9:50 am (on Mondays and Wednesdays)- The class ends and I am heading to the library to do homework. At this time on Tuesdays and Thursdays, I am usually either still doing homework or hanging out. 10:00am to 1:00pm (on Mondays and Wednesdays)- I have a long break in between classes, so I do homework and eat out in my car in this time. At this time on Tuesdays and Thursdays, I left the house, and in class (stats; starts at 12:00pm). 1:00pm to 1:50pm (on Mondays and Wednesdays)- I am in class (Reading and Writing). At this time on Tuesdays and Thursdays I am still in class (at 1) and finishing class at 1:50. 2:00pm to 2:30pm- I am driving home from college (this is everyday now). 3:00pm to 5:00pm- I usually do homework, workout, or hang out. 5:30pm- I usually eat supper at this time, eating a home-cooked meal because my mom likes to cook. 6:30 to about 9:00pm- I am usually watching TV, hanging out with the family, or doing more homework if need be. Around 9:00pm- I go to sleep (yes I know that early for most people, but it’s just me). -I do work on the weekends too, as I need money for things because I am in college. Like I said this is the usual daily schedule, but it is just an estimate and does change depending on what events take place. Dalton Breza, “My daily routine,” from my experiences and memories. 12/7/18. Minnesota, “the land of 50,000 lakes,” is bordered by Wisconsin, Iowa, the Dakota’s, and Canada. 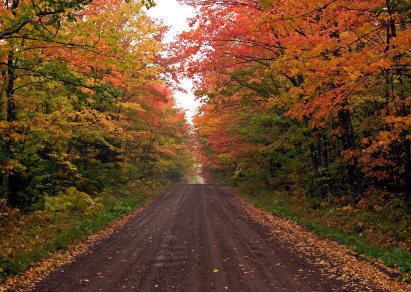 Being that it is located in the northern Midwest of the United States, it is considered one of the coldest states as well as one of the most seasonal, and rightfully so as it gets pretty cold (and snowy) in the winter, hot and humid in the summer, and dreary (and cooler) in the fall. 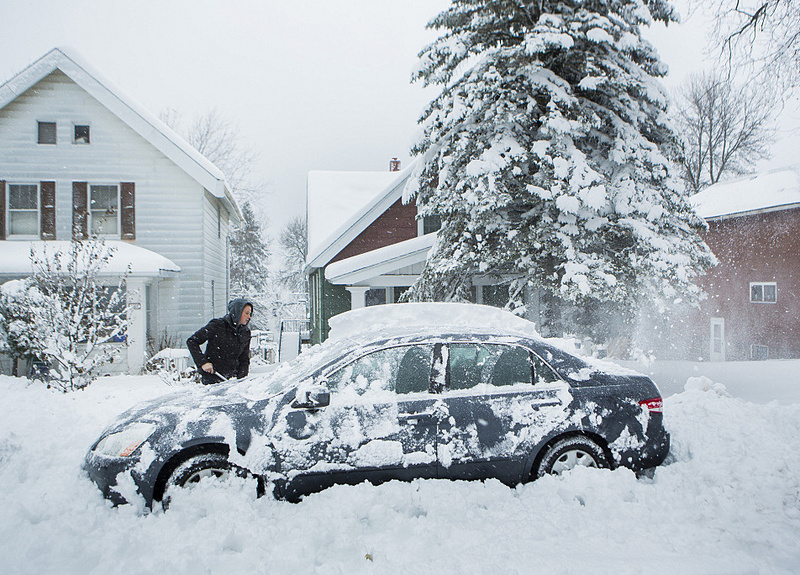 I would compare it to Colorado but without as much snow. The winters here are unpredictable and random when it comes to snowing and when there are warm patches in which the snow melts and then refreezes. When it comes to spring/summer time, it gets really humid, hot, and rains a good amount. If you are looking for a warm all of the time state, this state isn’t for you, but if you are looking for a seasonal state, this is the state for you. Enough about the weather and seasons. The people: the people in Minnesota are nice and respectful (most anyway). From living here for most of my life (born in Wisconsin and moved to Minnesota when I was young), I have seen hard-working, good people, that like to take care of each other. This is conditional and geographical as (like every state) there are some bad parts of the state (high crime areas). We as Minnesotans do have a slight accent (some people more than others), that was made into a stereotype (similar to Canadians). What you will see (in terms of geography): If you are in the southern half of the state, you will see a lot of hills, trees, farmland, and small towns (the exception being Rochester). If you are in the middle part of the state, you will see bigger cities (twin cities area), hills, and still farmland. And when you get up to the northern part of the state, the land flattens out, the forests are denser, you will see small towns, you will see big lakes, and a lot of mining going on. We don’t have any mountains or big canyons or anything crazy like that in this state. However we are the starting point of the Mississippi River and do have some cool landmarks and calendar-worthy locations. Duluth: Known for it’s ports, Duluth was once one of the biggest hotspots for trading shipped (literally by ship) goods. 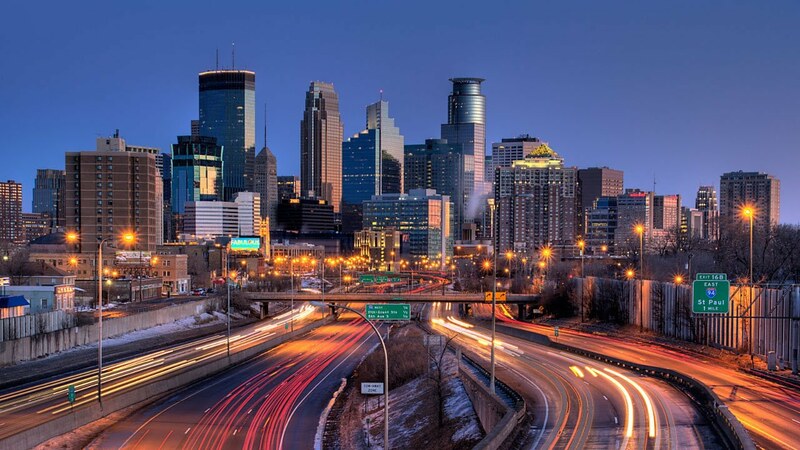 Twin Cities: The Twin Cities includes Minneapolis and Saint Paul. This is where pretty much all of the professional sport events happen in Minnesota. Rochester: Known for it’s hospitals (Mayo), Rochester is basically a mini-Minneapolis. 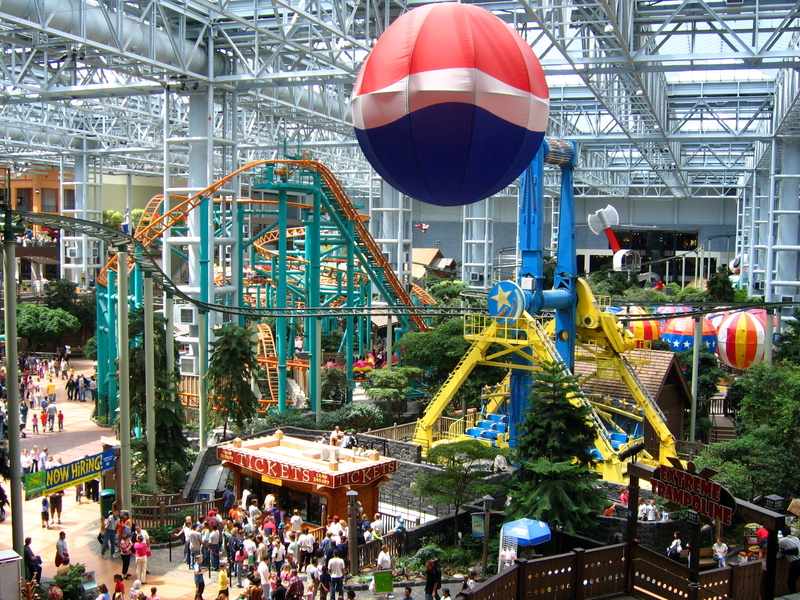 Mall of America: This is the biggest mall in America, including one of the biggest waterparks as well. Culture and food: In Minnesota some of the most popular foods are: Midwest style breakfasts (pancakes, sausage, bacon, eggs, toast, and maple syrup; with coffee or white milk for a drink), fish (mainly walleye), cheese curds (our state fair cheese curds rival the likes of Wisconsin’s; at least that’s what I’ve heard), burgers and French fries, cakes. For drinks it’s usually beer in the summers and hot chocolate/coffee in the winter. Our culture is similar to Canada (and some other states) in that we like to snowmobile, hunt, go hiking, and watch sports (especially football). The stereotypical fashion style in Minnesota is a flannel shirt, jeans, wool beanie, and boots for guys. And for girls it’s, a white sweatshirt, a black vest, a beanie with a ball on the top, leggings, and moccasins/Ugg boots. These are somewhat accurate stereotypes, but they are just stereotypes, so you will see people with all different outfits. “Foodie 40: The Ultimate Checklist of Minnesota’s Best Food.” Minnesota Journeys, http://www.minnesotamonthly.com/Food/Foodie-40-The-Ultimate-Checklist-of-Minnesotas-Best-Food/. Amdahl, Keane. “You Probably Need Some Stress Relief. 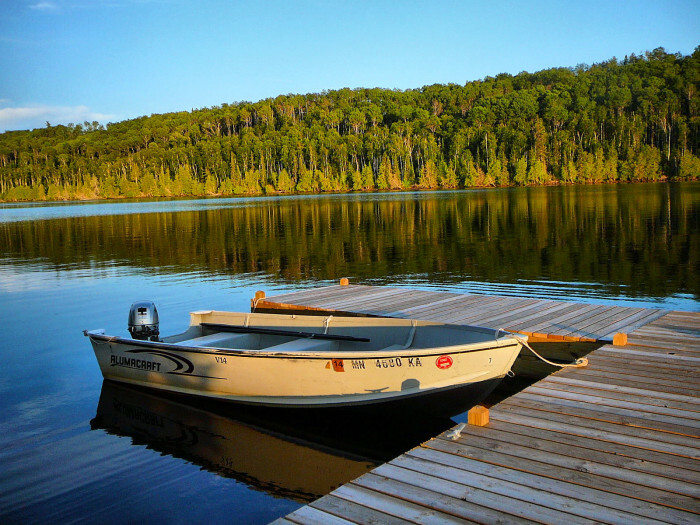 The Most Beautiful Places in Minnesota Can Help.” Thrillist, 14 Oct. 2015, http://www.thrillist.com/lifestyle/minneapolis/the-15-most-beautiful-places-in-minnesota. This next tour brings us into Deli’s blog as it is the next and final blog that was instructed to be talked about in the order of the blogroll. The first thing that you will notice when you visit Deli’s blog is that it’s very organized and everything seems to be labeled in the correct way, along with pictures for each post. It is sorted in a way that you will see YouTube videos before you click onto them. Each post has a “thumbnail” (the picture on the post) and title, along with the date that it was published. You will also notice that it is more colorful and artistic than most of the other blogs that you have seen (in the class). This blog also has categories on the top of the main page in which you can click on and the posts that have to do with the title that you clicked on are under each category. This blog is basically a travel/cooking guide, with most of the posts being about different locations, and a few posts being about cooking. You will find that she almost brings you along with her for every trip that she takes. She shares a bit of a backstory about each location in terms of it’s history, then walks you through her experiences when visiting each location. You will also find that she describes each landmark that she takes pictures of briefly and shares with us the experience of visiting these landmarks. All of the locations that she blogs about are contained to inside of the United States, and mostly states that are on the east coast (Massachusetts and North Carolina so far). Some interesting things that I noticed when scrolling through Deli’s posts are: each post has pictures to give the audience a better “picture” of what she is describing, describing her and her family’s experiences at each destination, labeling each post so it’s clear to what you are clicking on, and having a starting and ending point from the specific places. Overall this is a tight-knit, organized travel blog sharing tips and experiences on every trip along with some cooking tips and recipes. It is also easy to follow and easy to navigate as the wording and pictures explain everything clearly enough to get a good understanding of the destination. This is a blog that goes beyond the rubric.